ASUS’s EAH6950 is a graphics card based on the new Cayman PRO GPU. Cayman PRO is the same GPU than Cayman XT (HD 6970) where 128 shader processors have been disabled: the HD 6950 packs 1408 SP instead of 1536 for the HD 6970. Like the Cayman XT, Cayman PRO is a new architecture compared to previous generation like Barts (Radeon HD 6870) or Cypress (HD 5800). The vec5 units have been replaced by vec4 units and the rasterizer is now able to process 2 triangles per clock. 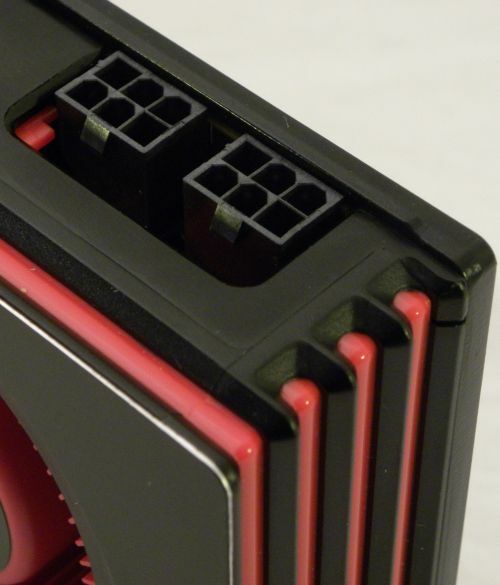 The Radeon HD 6950 features a new power consumption limiter called PowerTune. PowerTune is a technology that modifies in real time the GPU clock speed in order to keep the graphics card power draw in the specifications. Stress tests like FurMark are no longer able to exceed the TDP. ASUS Radeon HD 6950 is a factory overclocked card with AMD reference board: the GPU is clocked at 810MHz (ref: 800MHz). The 2048 MB of GDDR5 memory keep the reference clock: 1250MHz real speed or 5000MHz effective speed. 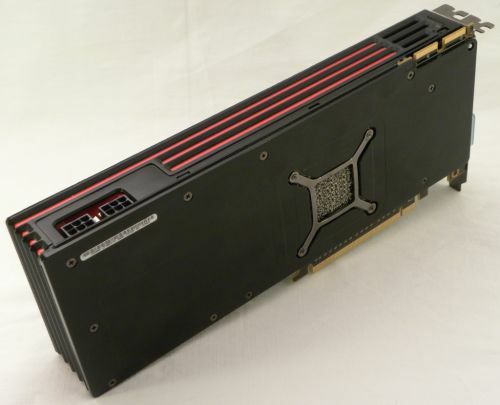 More details on the reference Radeon HD 6950 can be found here: AMD Radeon HD 6970 and HD 6950: Cayman GPUs are There!. 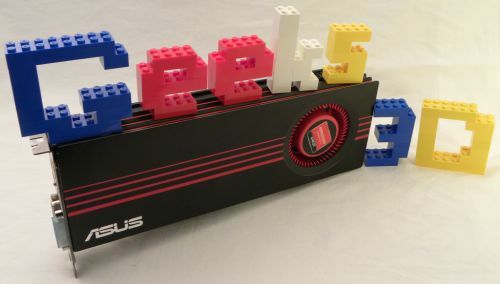 ASUS’s HD 6950 is a Direct3D 11 and OpenGL 4.1 capable graphics hardware. The card also support OpenCL 1.1, the standard GPU computing API. Cayman PRO is AMD’s second (even third) generation of DX11-class GPU. 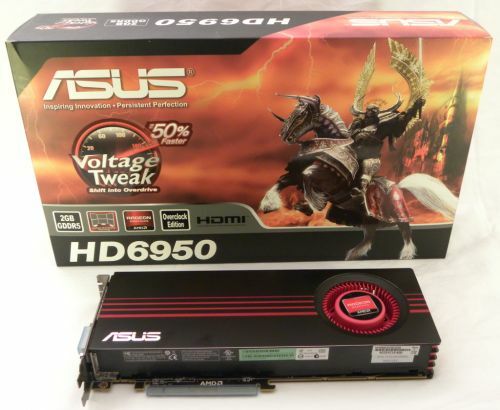 ASUS’s HD 6950 is priced at around 260 euros (see here for more prices). The Radeon HD 6950 has currently no direct competitor (maybe the GTX 560 in a near future) but fills the price gap between the GeForce GTX 470 and the GeForce GTX 570. 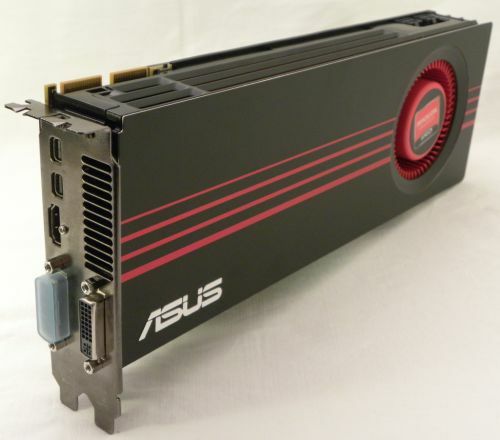 ASUS Radeon HD 6950 Gallery – (9 pictures total). Like the Radeon HD 6970, the HD 6950 is equipped with dual-bios: the first bios can be flashed (read/write mode) and the second bios is a security bios (read only) you can use in case of a bad bios flashing. Thanks to this nice feature, you can safety flash your HD 6950 bios and get the HD 6970 performances: Transform Your HD 6950 Into a HD 6970 at No Cost. 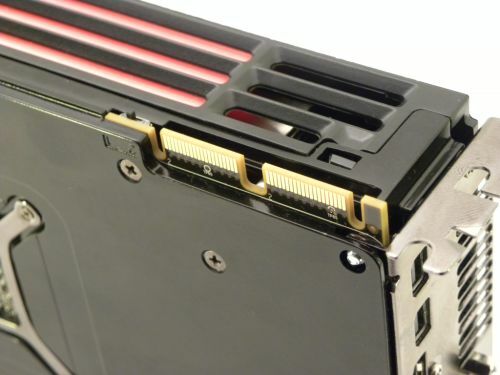 And like the Radeon HD 5870 and HD 6970, a backplate is provided with the HD 6950 to protect the card and to help a bit heat dissipation. The HD 6950 comes with 3-way and 4-way CrossFire support. – Is the 6950 Crysis score correct? – Did AMD fix Hawx 2 at last? Cool! I haven’t done any testing on my 5850s recently. Oh…and what setttings were used in Crysis? I wonder how much of AMD GPU’s lack of performance is due to the quality of their drivers. @Psolord: thanks for the links bug. Fixed! And yes the HD6950 score in Crysis is correct. I will bench again HD 6970 and HD 6950 when new drivers will be available because some scores (especially in OpenGL) are not coherent. For Crysis, I used the integrated GPU benchmark with default settings (I forgot the resolution sorry). @Ash: I think too much. Thanks for nice sharing JeGX. i am running windows 7/64 but i cant run 3d nvidia ? I just bought the ASUS EAH6950 2GB video card running on a 24inch LED monitor but i find the graphics not being sharp. The edges around the fonts are abit fuzzy and videos are not sharp as well. Anyone know why this is so? Oh yeah, found it so annoying how i had to play around with the scaling option to get full display on my monitor! ASUS pre-sales claims the “power-up” wattage of the P8Q67M-DO MB is 330w. This is without a proc. or RAM. Can anyone with a three digit I.Q. tell me if this sounds even remotely possible ?? ?